Dr Greger just published a video 1 (see end of blog) in which he considers whether marijuana could be of benefit to public health as well as the public purse (government spending on healthcare – specifically painkillers). The research he mentions is so interesting that I thought you might be interested in a brief synopsis of the main points raised. Is marijuana effective as a painkiller? Is marijuana a workable alternative to opioids? Why do governments ignore the research? Is marijuana really worse than tobacco & alcohol? Research 2 shows that in the USA, more than 200 million opioid painkiller prescriptions are written every year – ”a number closely approximating the entire adult population.” Pretty shocking, don’t you think? This is not just a statistical matter – over 2.5 million Americans are addicted to them and, what’s even more shocking, more than 80 Americans die each year of overdose from these legally prescribed painkillers. 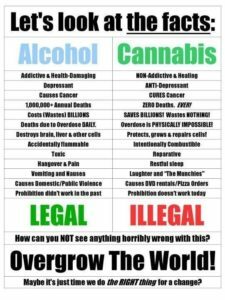 It’s quite common for people to think that marijuana is a gateway drug to stronger drugs like heroin. But not so many realise that the above research shows it’s prescription painkillers that more commonly acts as the gateway to hard drug addiction. The financial cost of these painkillers (ignoring the knock-on costs in terms of the lost earning potential and also the subsequent health costs as people drift into heavy drug addiction) is US$78 million a year. If people are getting so addicted to painkillers, and these legally-prescribed drugs are seem to lead to harder addictions, then shouldn’t governments be even more determined to stop any possibility of marijuana being legalised (or used) as a means of controlling pain? This is certainly the opinion of many people – including the White House Spokesperson Sean Spicer, who said: “the last thing we should be doing is encouraging people” to smoke cannabis. But is marijuana really a gateway drug? And, if so, is it any better or worse than prescription painkillers? First, I suppose we need to know whether marijuana is an effective painkiller. Research 3 4 5 6 7 8 9 10 11 12 13 14 15 16 17 going back over decades does seem to indicate that compounds (such as THC) 18 within marijuana (or whole marijuana weed) can indeed be used as an effective painkiller for a wide range of medical conditions – from migraines to cancer, MS to spinal cord injuries. Information on such research has been written about for decades, including a well-known book published in November 2000 by Alison Mack 19 . A more recent 2014 study 20 stated that if there was increased access to medical cannabis, they it may: “…reduce opioid analgesic use by patients with chronic pain, and therefore reduce opioid analgesic overdoses.” And they conclude by confirming that, in the USA: “Medical cannabis laws are associated with significantly lower state-level opioid overdose mortality rates.” This consequential reduction in opiates was supported by addition research in 2017 21 , which also saw its use being responsible for a reduction in patients’ need for other medications, including those for depression, anxiety, migraines, insomnia, and even being responsible for reducing alcohol consumption. 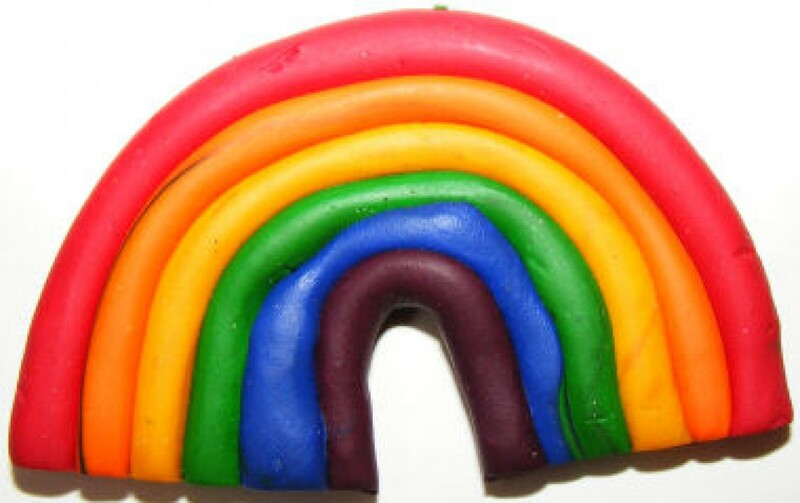 It was even found 22 to be effective in reducing the amount of crack cocaine used by addicts! The evidence for the benefits of legalising medical marijuana use doesn’t stop there. A 2016 study 29 indicated that the demand for other non-painkiller prescription drugs dropped significantly once medical marijuana was legalised – including anti-anxiety drugs, antidepressants, anti-nausea drugs, antipsychotics, anti-seizure drugs, and sleeping pills. The researchers pointed out that if all US states did this, then it could save almost US$500 million a year. But if there is such a disconnect between official statements aimed at informing public opinion and the actual scientific evidence, who does this benefit? Just think about it. If the 2016 study just mentioned above found that taxpayers could save themselves almost half a billion dollars a year in pharmaceutical bills, then who suffers? Big Pharma, of course. There’s no coincidence in the documented fact 30 that pharmaceutical companies (as well as the beer industry and, revealingly, the police unions and private prison industry!) were major sponsors of marijuana prohibition. This is really no different from what we see on a regular basis within the field of nutrition, where the likes of McDonald’s and Coca-Cola sponsor studies that support supposed health benefits of their products, while they marginalise or try to debunk the bulk of valid research which proves the complete opposite. Another issue that’s worth throwing into the mix is the irony that tobacco and alcohol are, from a legal perspective, regarded as perfectly okay. 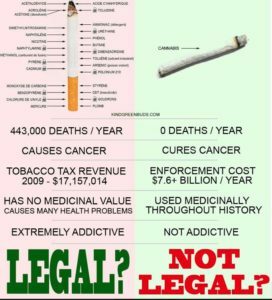 The following graphics give pause for thought if we want to attack marijuana. Both drinking alcohol and smoking tobacco are legal (for adults) but are reported to be responsible for what might be regarded as an unacceptable number of deaths every year. And this isn’t taking into account everything else associated with their use: all the workdays lost through illness/accidents; the personal pain and suffering for the smoker/drinker themselves; the knock-on pain and suffering of their loved ones; the financial cost of the products themselves over a lifetime of use; let alone the complete lack of proven health benefits weighed up against the wealth of proven health deficits associated with both of these substances. For me, the view expressed by the NIH (the USA’s National Institute on Drug Abuse) 31 sums up the confusion in this area. Because of this lack of definitive research data, I can’t form any definitive opinion on this matter. I can say that I have personally known marijuana consumers who would fit into both categories – one has smoked marijuana all his life and has never, to my knowledge, progressed to stronger drugs, while another started with marijuana and ended up taking heroin and dying of throat cancer, possibly linked to the amount of tobacco and/or marijuana smoked during his relatively short life. I don’t want to persuade anyone to start taking drugs. Indeed, I consider that a lot of the medical conditions that may be aided with the use of marijuana (from depression through to migraines, joint pain to MS and even cancer) are largely preventable through dietary and lifestyle choices alone. Thus cutting out the need for most prescriptions, including opioids and marijuana itself. Also, I’ve come across some negative effects of marijuana-use in people I’ve known; thus, for me, there’s no hint of trying to push for legalisation per se. However, I think that, as with research into nutrition, the factual findings of reputable, peer-reviewed research into anything (including the potential medical effects of marijuana) should be the deciding factors in government/medical policies – and not the potentially biased opinions of legislators, funded and controlled by interested parties such as Big Pharma and the like. Posted on 25th June 2018 25th June 2018 By wholefoodplantbaseddietPosted in Marijuana, Whole Food Plant-Based DietTagged Alison Mack Marijuana As Medicine, Health benefits of marijuana, Is marijuana a gateway drug?, marijuana as an anticancer treatment, marijuana healthier than alcohol, marijuana healthier than cigarettes, Marijuana legalisation saves lives and money, medical cannabis, Should dope be legalised?